1.Clean the surface well before you mount the straps/Coins/dots to your object. 3.Press the coins firmly in place and position it as desired and takes a few minutes before use. 4.Repeat step 2 and 3 to the other side of coins. 5.Press Hook and Loop coins together to connect the two objects and make sure it is aligned properly. This product with adhesive backing. 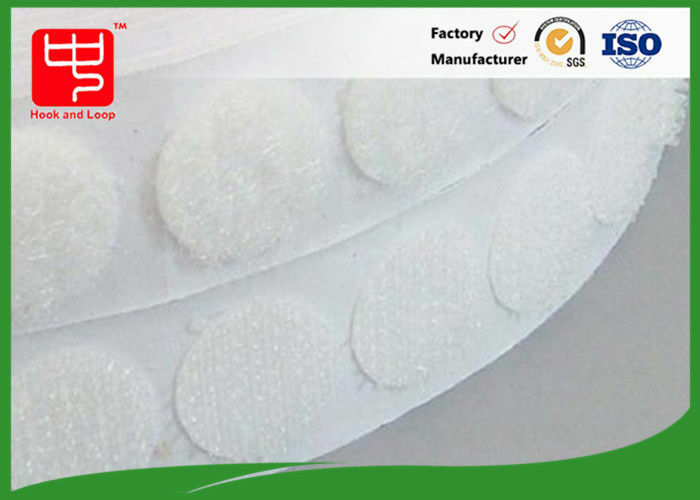 Widely use in furniture, packing or gift box, document, helmet, Garment, Shoes, office, school , household, industry, hospital, plastic, metal, raincoat, stationery, pottery, timber, paper goods, PVC, leather products, hats, gloves, bags, sofa, curtain, toys, sleeping bags, sports equipment, audio equipment. ect.